The kids take advantage of the gorgeous (yet windy!) 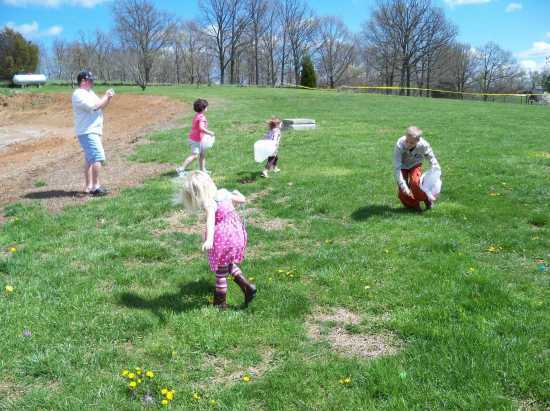 weather Saturday to pick up the plethora of eggs scattered in the grass. I heard many comments from parents that the kids loved it because there weren't hordes of kids and that there were plenty of eggs for everyone to collect.